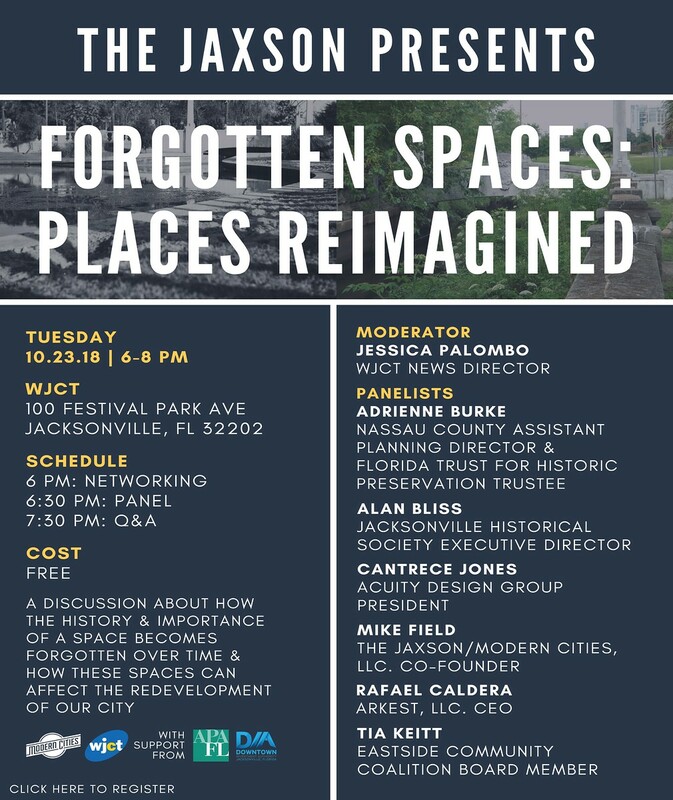 Join The Jaxson on the evening of October 23 for Forgotten Spaces, a free discussion about how the history and importance of a space becomes forgotten over time and how these spaces can affect the redevelopment of Jacksonville. The event is presented by The Jaxson, Modern Cities, and WJCT, with support from Downtown Investment Authority and Young Planners of the First Coast APA. Refreshments and light hors d’ouevres will be served.